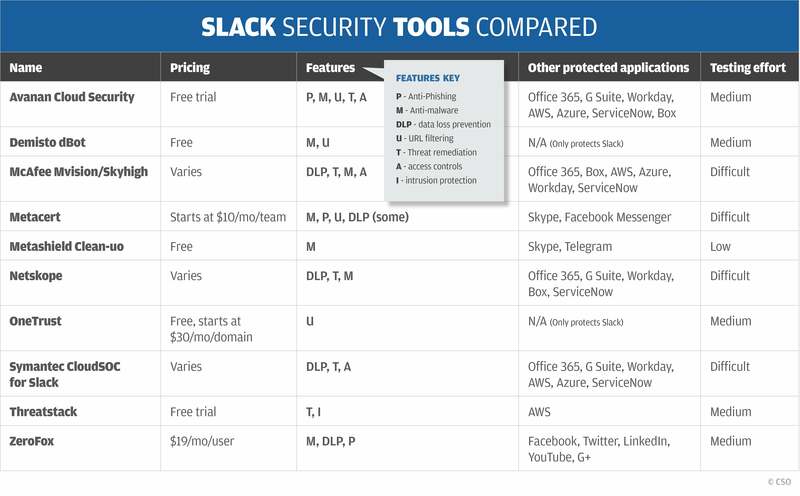 When it comes to protecting your Slack messages, many companies are still flying blind. Slack has become the defacto corporate messaging app, with millions of users and a variety of third-party add-on bots and other apps that can extend its use. It has made inroads into replacing email, which makes sense because it is so immediate like other messaging apps. But it precisely because of its flexibility and ubiquity that makes it more compelling to protect its communications. In this post for CSOonline, I take a closer look at what is involved in securing your Slack installatio nand some of the questions you’ll want to ask before picking the right vendor’s product. You can see some of the tools that I took a closer look at too in the chart above.